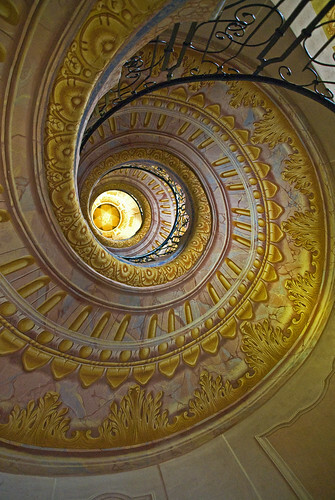 Melk Abbey Spiral Staircase, a photo by Alida's Photos on Flickr. Spiral staircase in the Austrian Benedictine abbey. In the town of Melk, overlooking the river Danube adjoining the Wachau valley.